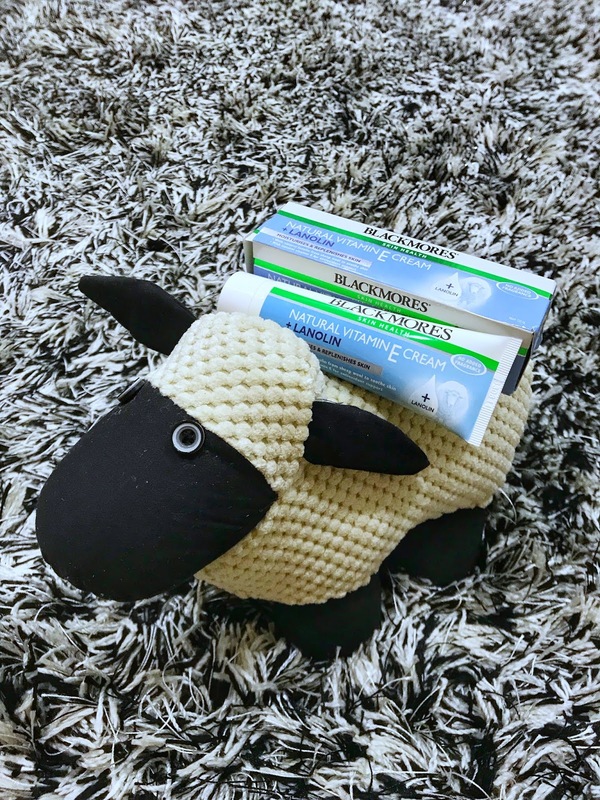 I first tried Blackmores Natural Vitamin E Cream in April this year during a trip to Sydney. Since Blackmores is Australia’s leading natural health company, the best time to purchase it is while I’m at the originating country isn’t it! I got the vitamin E cream from the local drug store there to help my skin combat the dry climate. Founded by visionary naturopath Maurice Blackmore in 1932, Blackmores combines traditional naturopathic expertise with scientific research to help people achieve optimal health and wellbeing. Committed to developing innovative natural health products and services of the highest quality, Blackmores reaches consumers in 17 countries. Also, Blackmores’ extensive range of vitamins, herbal and mineral supplements, and nutritional foods uses premium ingredients from around the world, with products made to strict Australian manufacturing standards. We all know how much pride Australians have in their local products, that’s because they know the quality and standards they are upholding. Furthermore, respecting the innate link between healthy people and a healthy planet, Blackmores implements sustainable packaging and waste-reduction practices and supports charitable community initiatives. Since Blackmores expanded into the skincare category, the Blackmores Natural Vitamin E Cream has been part of the Blackmores range for 40 years since it was launched in 1978. And now, there is an enhanced version which is Blackmores Natural Vitamin E Cream + Lanolin. What’s Lanolin? Apparently it was highly popular ingredient I saw labelled on many Australian skincare products. I had the problem of skin ‘rashes’ breaking out after each trip to a cold place in the recent year. This is despite the fact that I masked and applied moisturisers (even thick body lotion from the hotel for the first time it happened in China). Even if the weather wasn’t exactly winter or that cold – i.e. Hong Kong in April or Melbourne in May – my cheeks will turn red and blotchy, and crack due to dehydration for days / weeks even after coming back to Singapore. This time round, I started using Blackmores Natural Vitamin E Cream as soon as I bought it in Sydney and my skin (finally) didn’t react for the entire trip. That’s how I know that this is the one product that really moisturises and replenishes dry skin! Now, with added Lanolin, I’m pretty sure the protective barrier will work even more effectively in penetrating the deepest layers of the skin and prevents the evaporation of water. 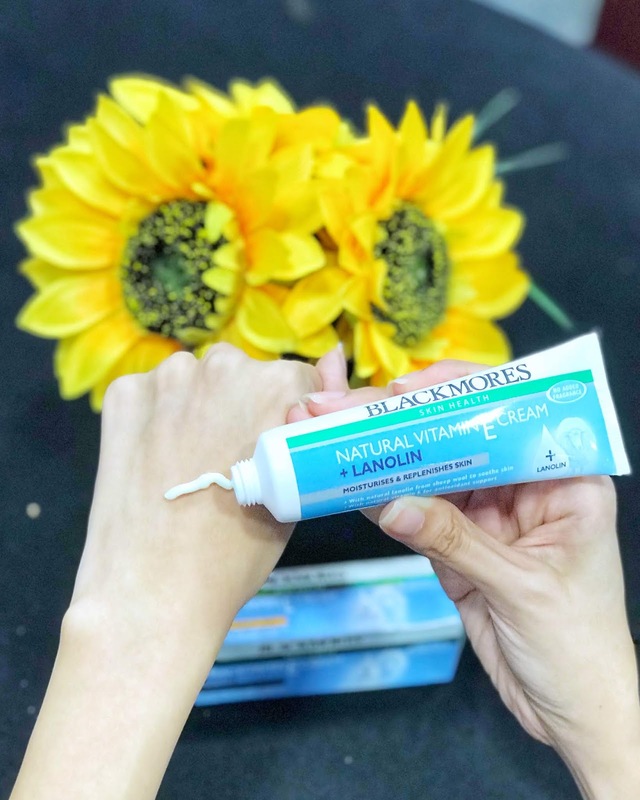 I only use the cream on alternate days (or days when I rem…) and have switched to the Lanolin version in the past week. It’s doing my skin well so far, and I’d certainly bring it along to my upcoming midnight volcano hike (zero degree celsius >.<) to share with my travel mates too! 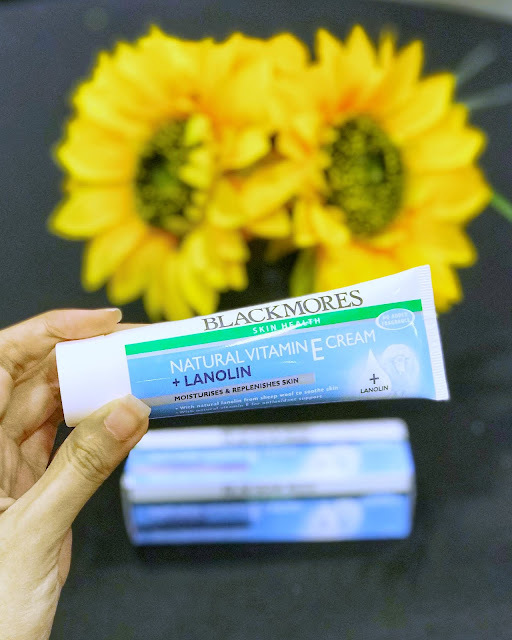 Blackmores Natural Vitamin E Cream + Lanolin is retailing for $19 in Singapore. Bober Tea has kindly invited me down to their new outlet in town at Bishan. The founder had found on his travels that the various tastes of bubble teas in Taiwan, Japanese and China are vastly superior and has hence decided to bring back the best of all worlds to Singapore. 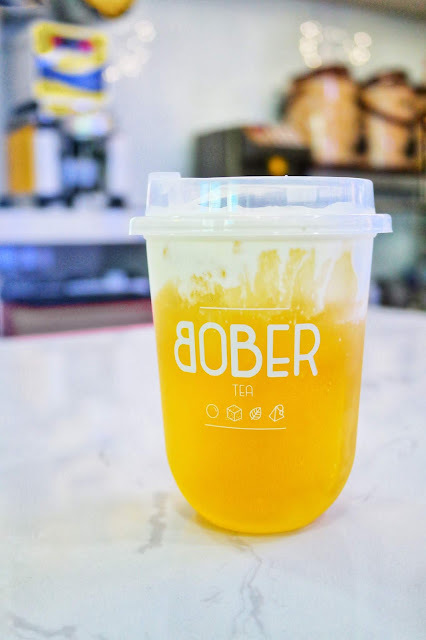 Bober Tea strives to offer artisanal tea, focusing on high-quality, tasty blends and keeping the prices affordable still. Not only do the crew behind Bober Tea make delicious teas, they also aim to care for everyone's health as the bobas are homemade instead of procuring from the factories - this is so that they can have better control over what goes into each and every boba. 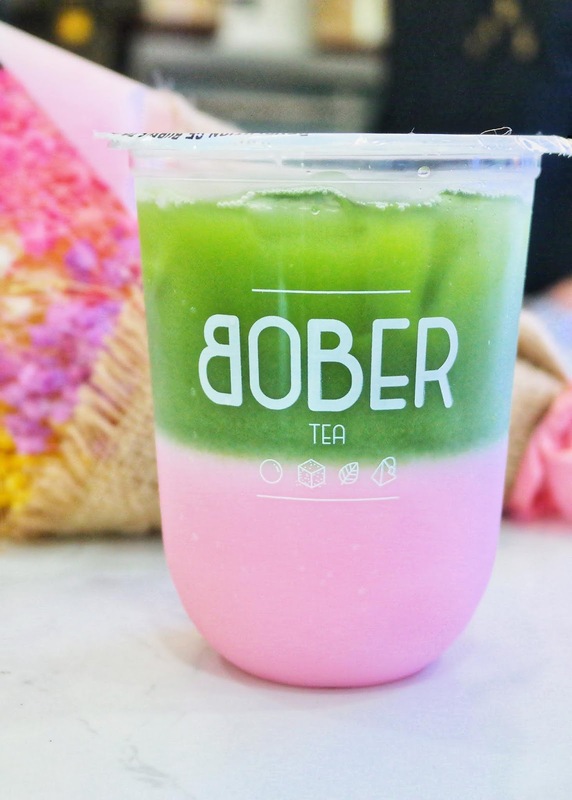 Bober Tea also uses premium ingredients such as Okinawa black sugar, Hokkaido milk, pure matcha powder, and Grade A quality fresh fruits. 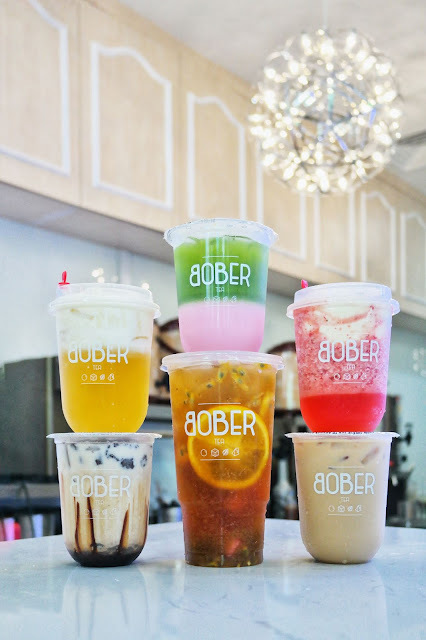 These are the 6 flavours I tried! Hokkaido milk will never go wrong if you're a milk lover. 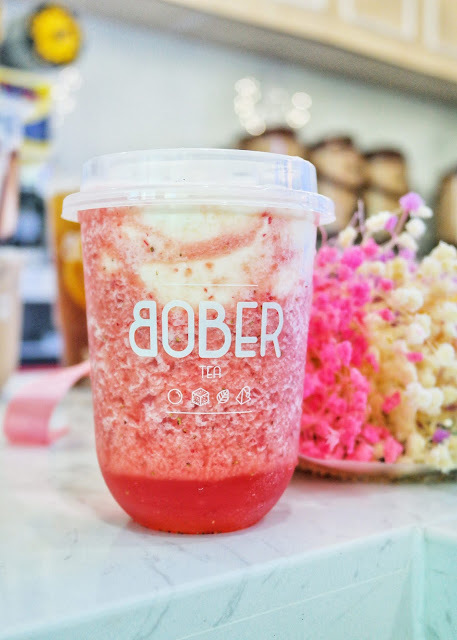 This is a refreshing reinvention of strawberry milkshake with more tangy-ness to it. 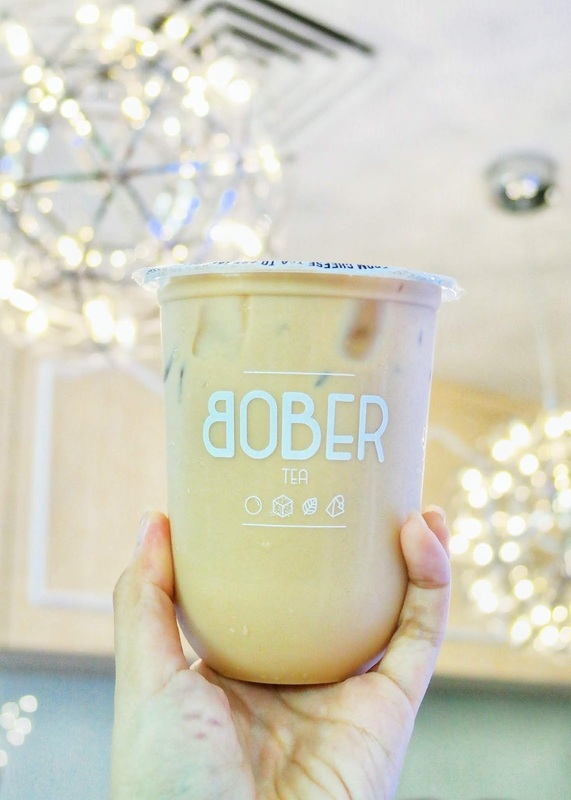 Salted Caramel is an easy flavour - however do ask for less sugar if you are more used to healthier versions of bubble teas! The price is kept reasonably competitive as well. Again, the hokkaido milk cap never fails. 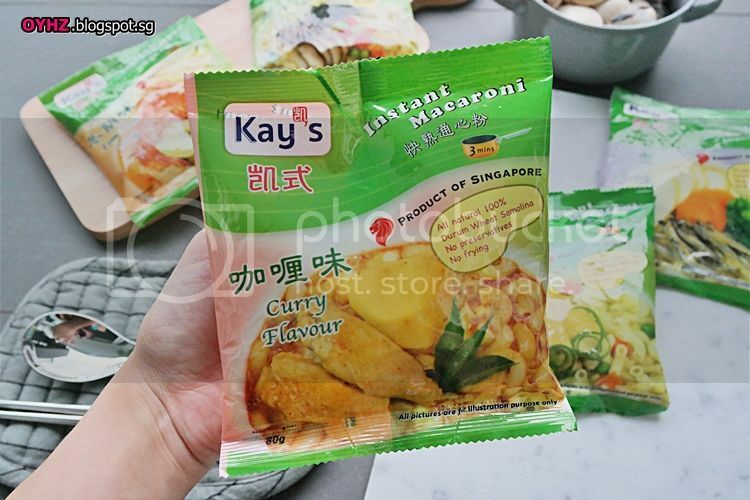 This is probably a flavour I would rattle off the tip of my tongue without any hesitation. 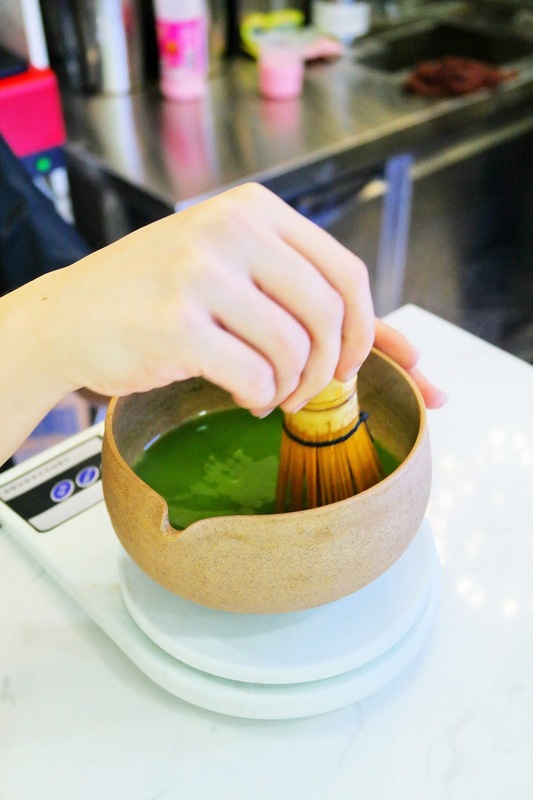 For matcha lovers, you may be delighted to know that the drink is made from pure matcha powder freshly grinded in front of you. This was certainly a dark horse as it wasn't a tea per se. 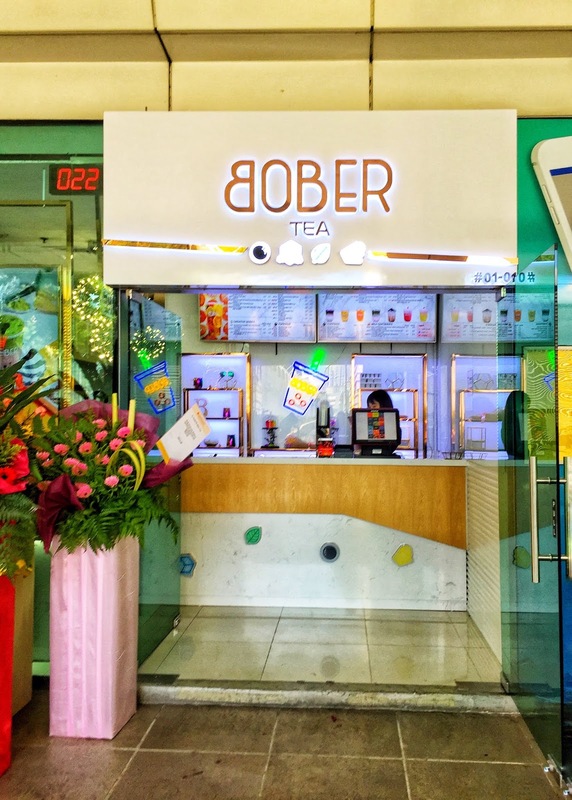 But it came as such a delicious drink which changed my perception that bubble teas needn't be teas all the time! Some of their top sellers are as follows which I would love to try some other time! 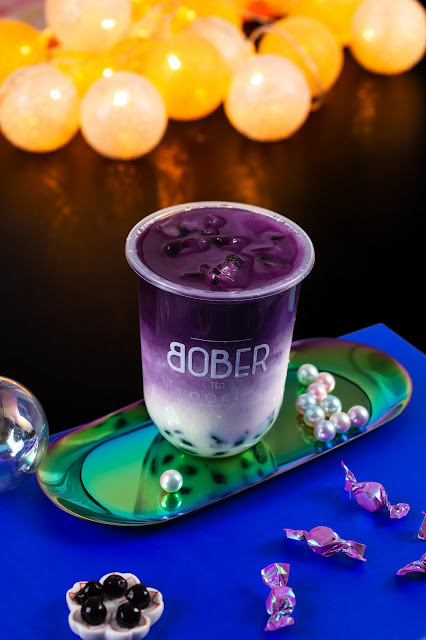 There’s never been a better time for Bubble Tea. 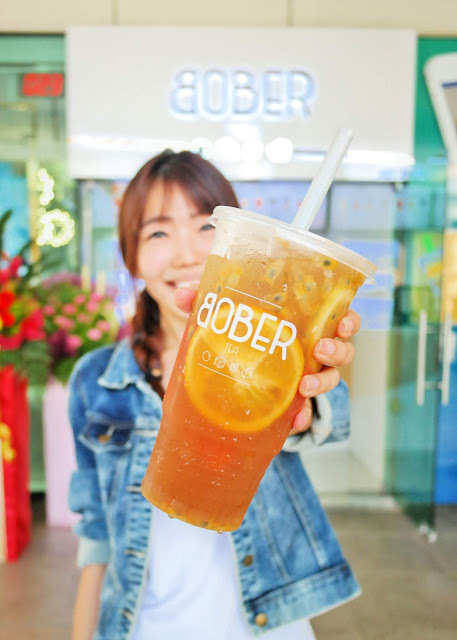 With decades of history and new waves of bubble tea all over the world in the more recent months, try out Bober Tea for yourself and let me know which flavour you enjoy! The birthday month has flew past so quickly! 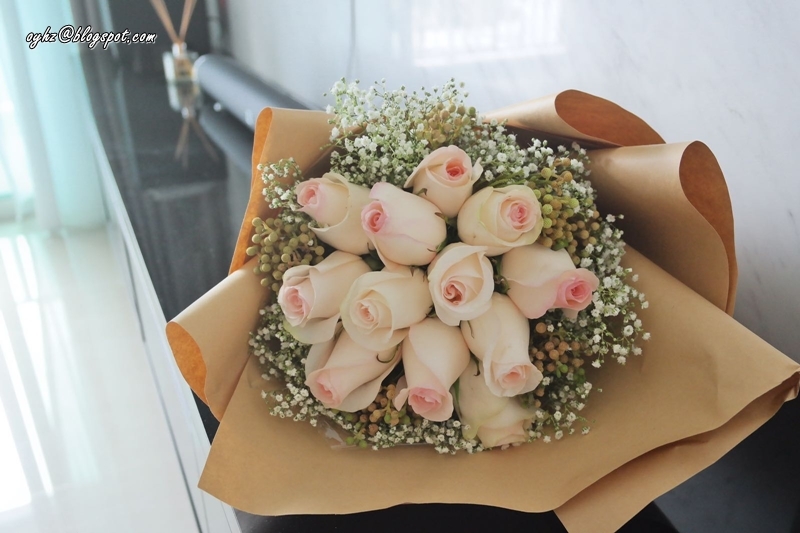 Sharing on one of my first birthday gifts at the beginning of the month - a lovely african champagne roses bouquet from Floral Garage. The website allows you to filter for the specific type of blooms you like or is looking for. The first thing I looked at was the Tulip section. Unfortunately, there was only 1 item available under the Tulip category. So I turned to my next favourite, Rose, to search for the white / pink ones. That was when I chanced upon the african champagne roses which is such a beautiful combination of cream and pink seldom seen at the usual commercial floral stores. The delivery process was fuss-free too. Here are the information they requested at one go. 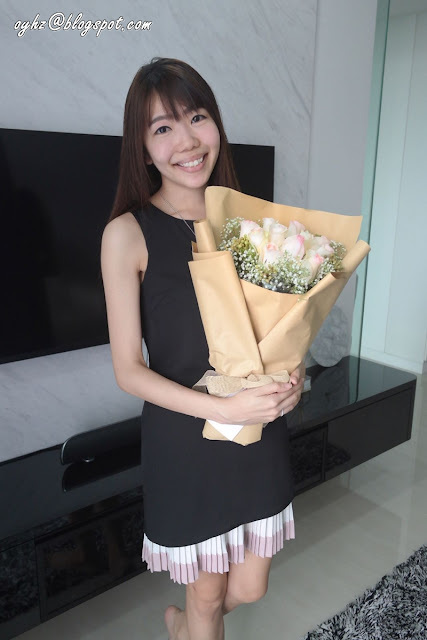 I like how they have a several time slots for delivery and asked for a nominate safe place beforehand in case the recipient is not at home/office when the bouquet arrives! Otherwise, you may also opt for specific timing delivery for a fee of $30. 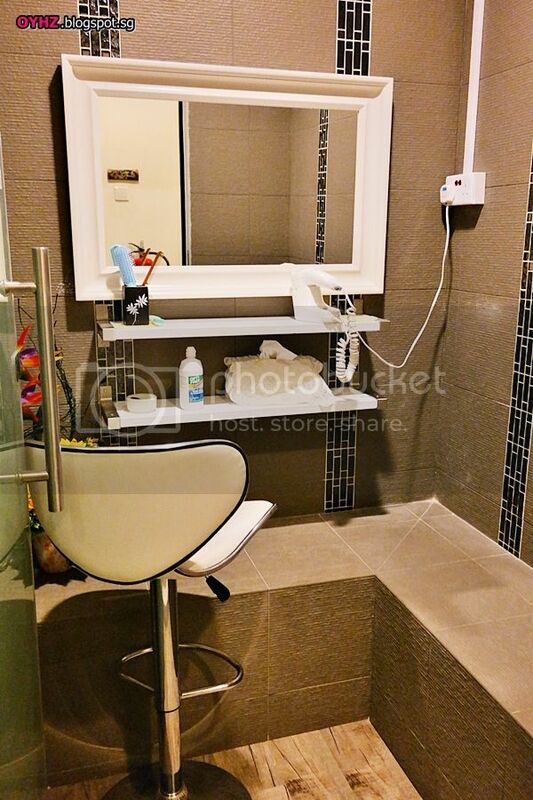 756 Upper Serangoon Road #03-34, Upper Serangoon Shopping Centre, Singapore 534626. Weekdays: 10:00 am to 1:00 pm, 1:00 pm to 6:00 pm. Saturday: 10:00 am to 1:00 pm, 1:00 pm to 5:00 pm. Sundays and Public Holidays: 10:00 am to 1:00 pm. Floral Garage can also do same day delivery too. And, there is no cut-off time for same day delivery! If you can't decide on the type of flowers, consider their Freestyle Bouquet at only $34.90! 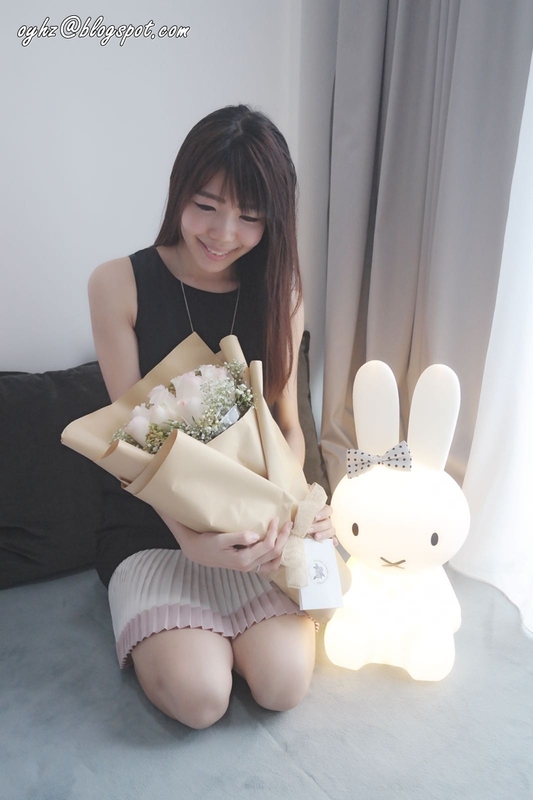 There is also a larger version of the freestyle bouquet, the Premium Freestyle Bouquet for $64.90–$84.90. 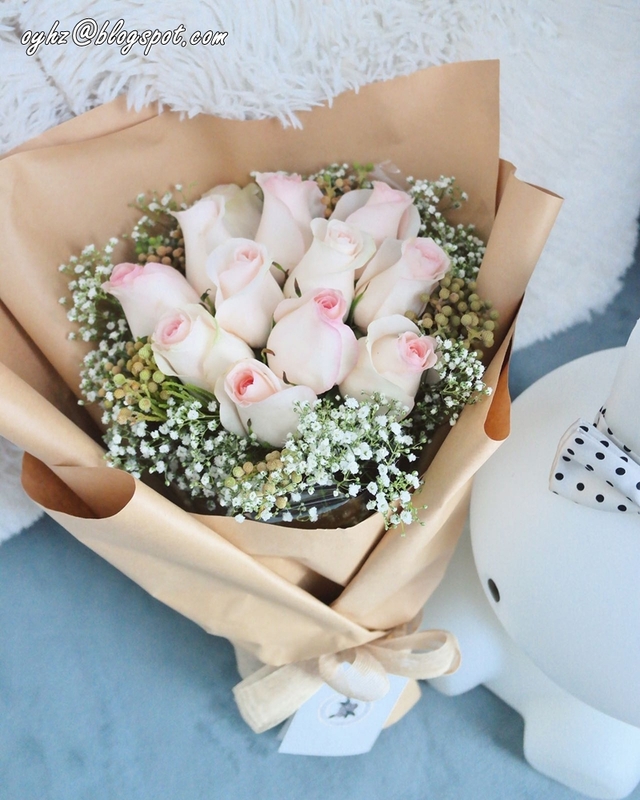 You can choose the style of the bouquet, and certain level of customization such as having it with wrapper or in a vase, and colours to avoid. Alternatively, Floral Garage also provides potted plants selection which I've missed when I first checked out the website. This would look so good for my living room! 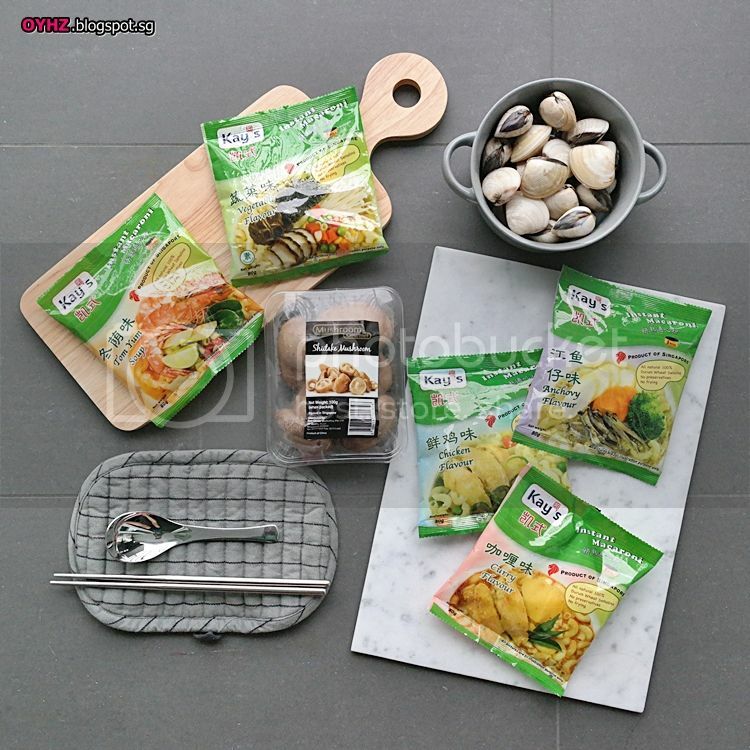 Whipping up a macaroni meal is now as easy as in 1…2…3 mins! 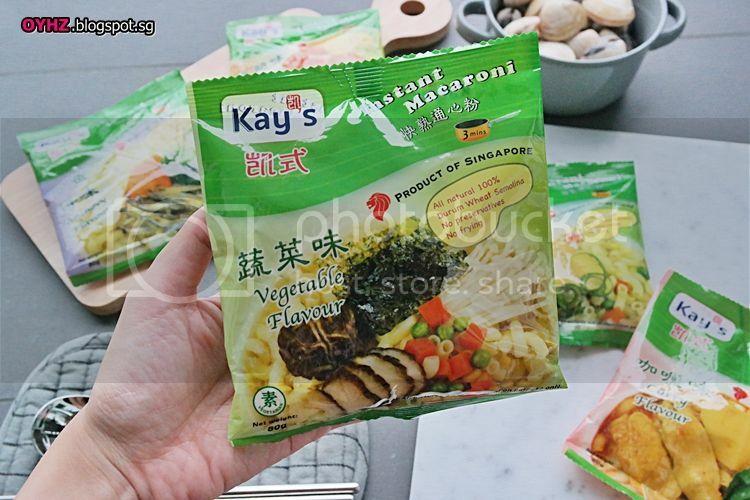 All thanks to Kay’s Singapore instant macaroni packets! 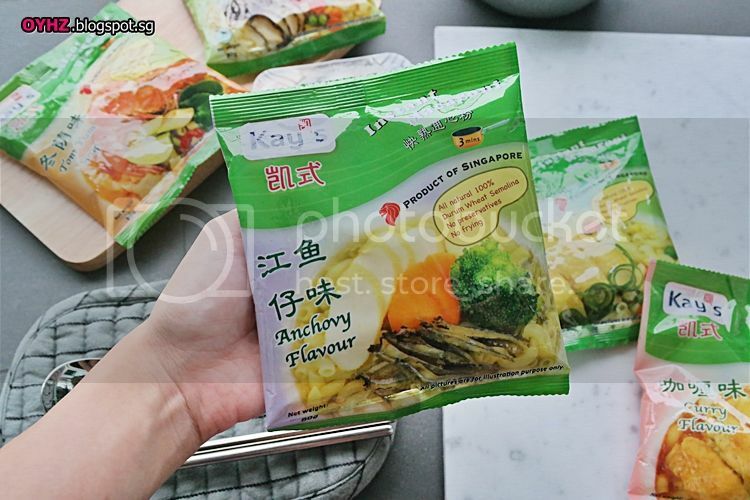 “Anchovy stock is one of the most important parts in enhancing the soup-based flavourful. Making anchovies stock is fast and convenient and usually takes 10-15 minute, unlike making chicken or vegetable stock. 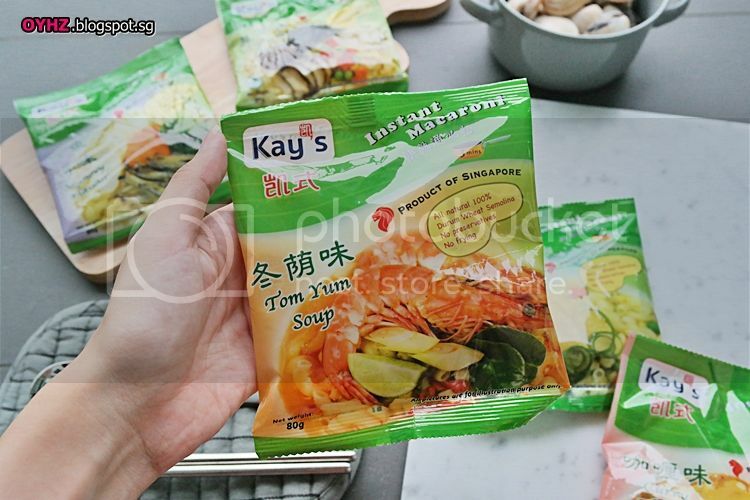 My personal favourite is the tom yum flavour as it has just the right amount of spiciness (not spicy at all if you’re a chili kind of person) and tanginess that is extremely refreshing. 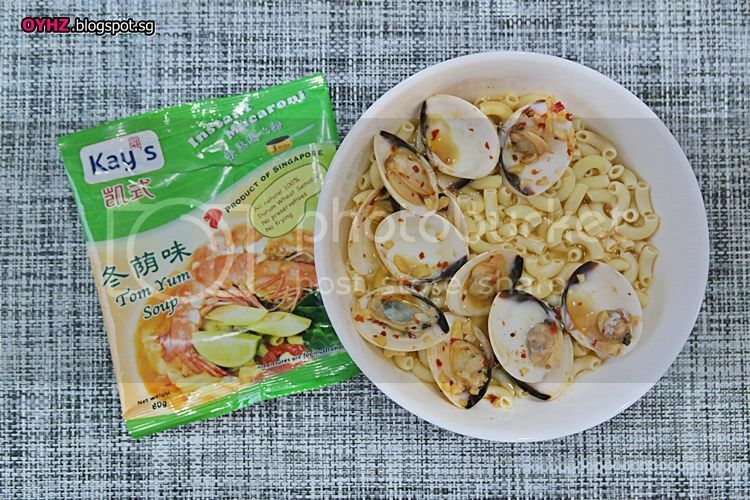 You may even want to add ingredients of your choice to make it more nutritious – I added some fresh clams to create the seafood tom yum flavour. 3) Add the clams to simmer for 3-5 mins, till all the clams are popped open. 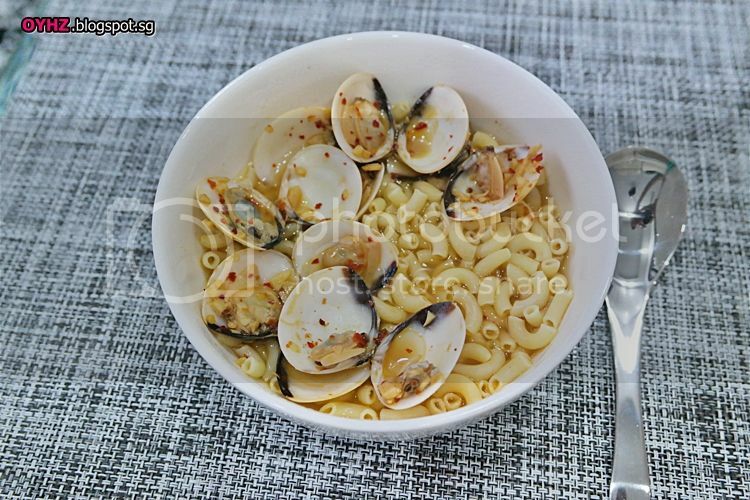 5) Once the clams are done, transfer the clams and broth to the ready macaroni and ta-dah! 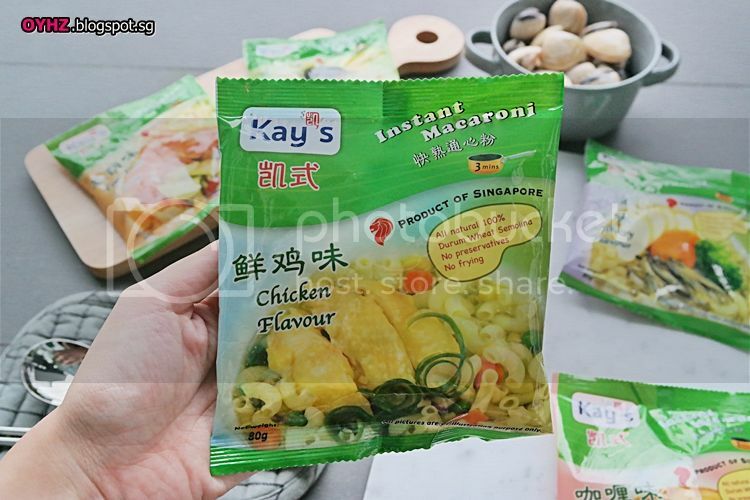 Kay’s Macaroni is available at $3.20 (pack of three) from Sheng Siong Supermarket, Fairprice stores, Prime Supermarket and more. Latest list of outlets can be found at their Facebook page. 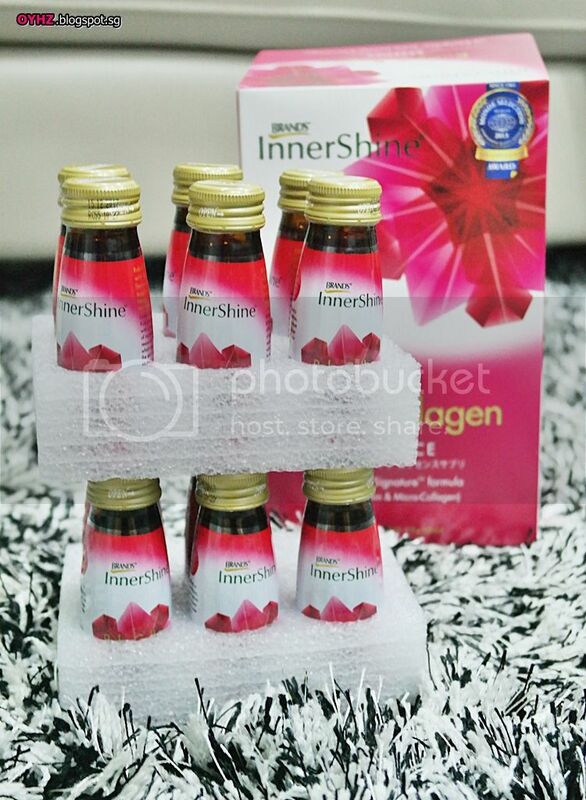 Experience collagen at its finest with BRAND'S® InnerShine® latest breakthrough innovation - RubySignatureTM formula. We all know collagen is necessary to support the skin’s structural foundation to improve firmness and elasticity for youthful and supple skin. Astaxanthin serves as the perfect complement by acting as a natural shield against the collagen-depleting procedure. In containing both micro-collagen and astaxanthin, RubySignature™ formula defies the ageing process by performing a vital triple-action of supplying collagen, protecting against collagen degradation and delivering collagen effectively to skin cells. Designed to complement your topical skincare routine - in 6 weeks, experience skin rejuvenating power with BRAND’S® InnerShine® RubyCollagen Essence*. 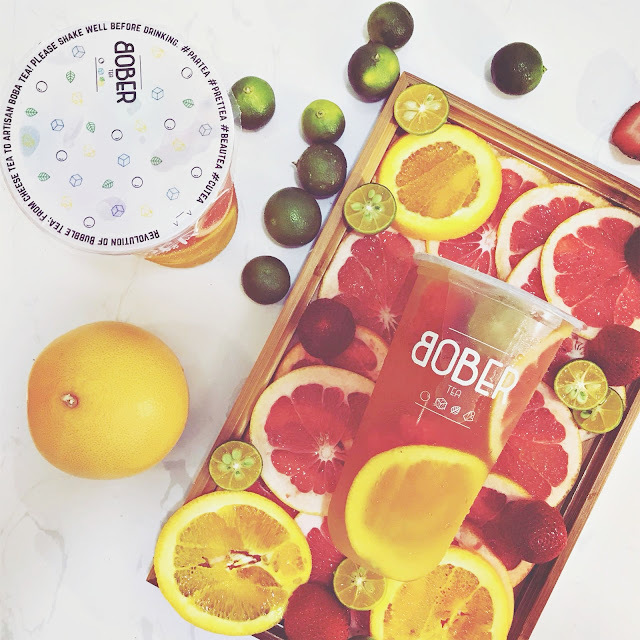 Daily consumption will help to ensure that your body is adequately supplied with the essential nutrients for optimal skin support and protection. 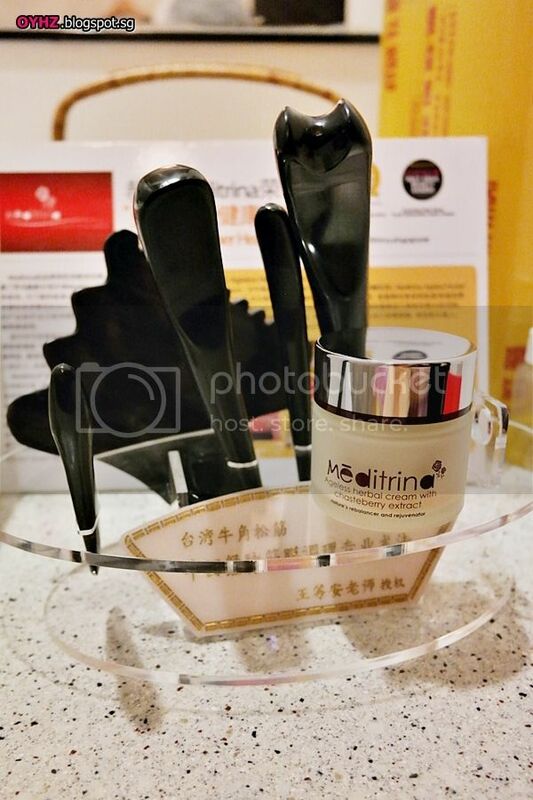 For optimum efficacy, it is recommended that BRAND’S® InnerShine® RubyCollagen be consumed twice daily to experience the skin age-reversing difference in 6 weeks*. After my recent beach getaway (more on Instagram @OYHZ), I definitely need new RubyCollagen Essence range by BRAND’S® InnerShine® even more to fight the collagen-depleting rays of the sun. If I had been reminded earlier, I would have brought with me a few bottles or stripes for the holiday. Still, better late than never! In order to fend of the visual signs of aging, it is necessary to not only replenish lost collagen, but also prevent further collagen degradation in the skin from occurring. Inspired by this insight, BRAND’S® InnerShine® developed RubySignature™, a formulation designed specifically to challenge the existing paradigm in anti-aging skin care. 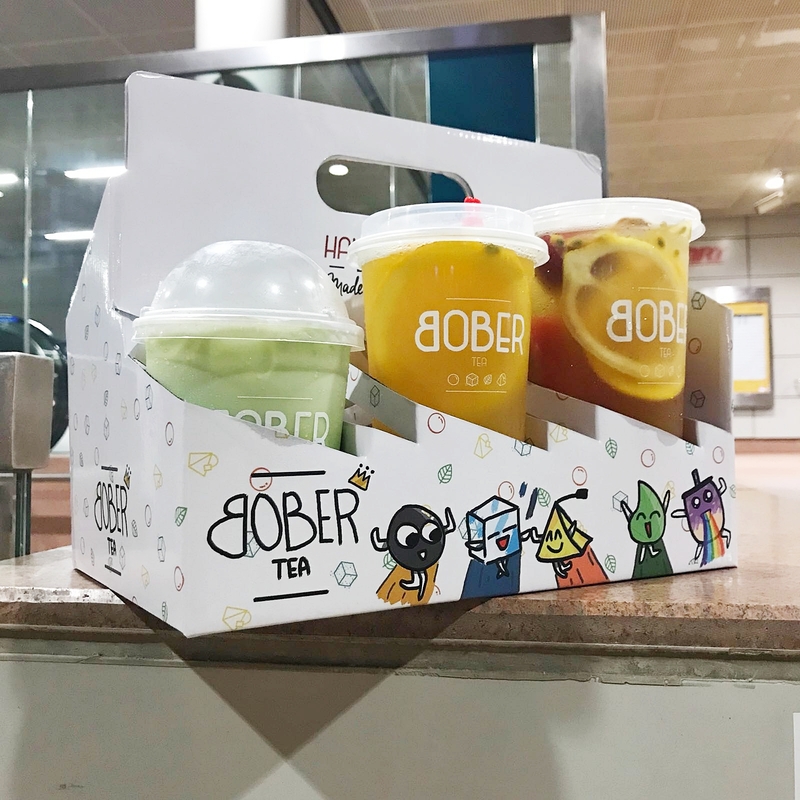 Both packaging are rather slim and compact for slotting into our ladies bags :) This is how you could simply bring it along for a day trip or for consumption! 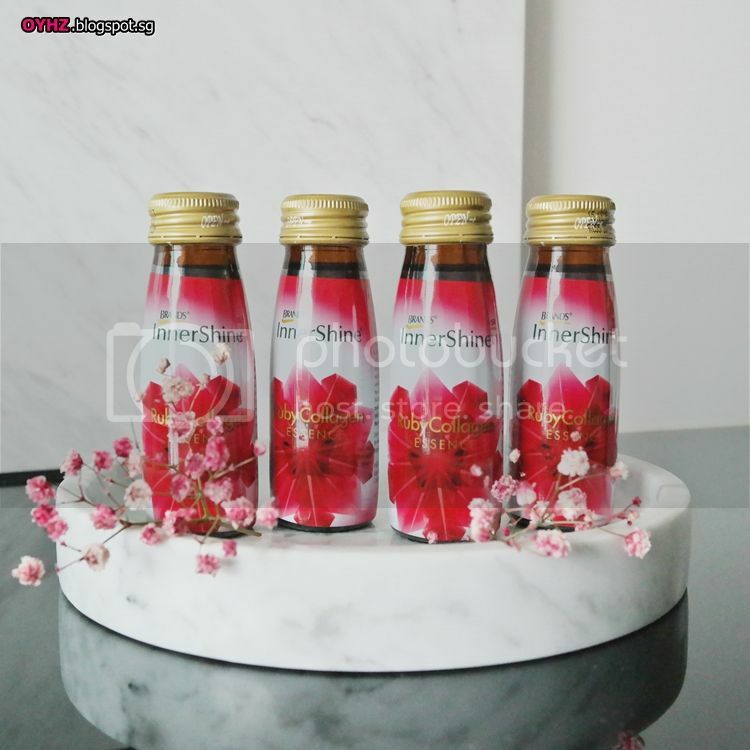 If you had read my previous review on the marine collagen here, I personally find that the RubyCollagen Essence suits my palate better with the more tangy taste. 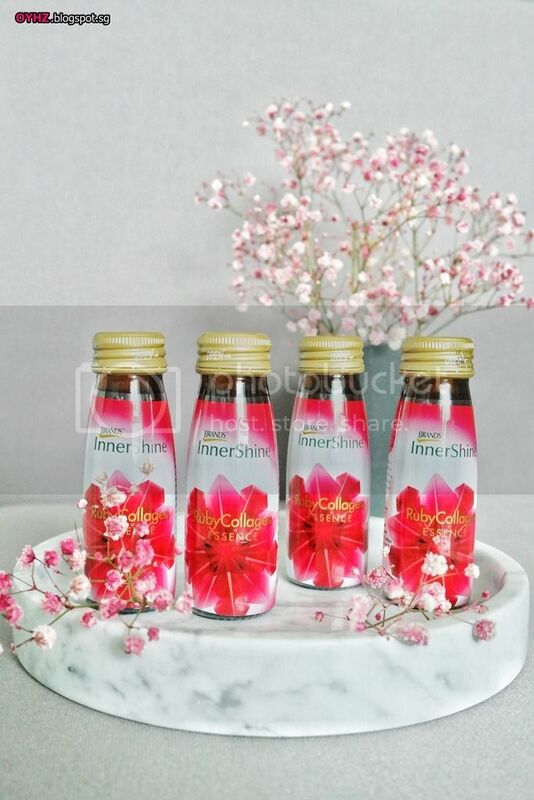 BRAND’S® InnerShine® RubyCollagen Essence is infused with natural pomegranate juice that gives the invigorating and zesty flavour. Being so delicious, it is certainly an added bonus to addressing the needs of aging skin. I had been drinking BRAND’S® InnerShine® RubyCollagen Essence for the past week and so far my skin has been recovering well from the slight sunburnt on my cheeks. The burnt cheeks didn’t turn patchy or flaky (thankfully!) and the bumps that appeared on my face right after the trip are disappearing fast. This may be the effect of the RubyCollagen Essence, coupled with the hydrating and soothing products I spammed right after I got home. Plus some deep-cleansing and exfoliating masks which I have been more diligently using too. Developed with a winning combination of scientifically proven health-enhancing ingredients, BRAND'S® InnerShine® is a modern range of beauty wellness supplements to help you promote beauty from within. Don’t let your lifestyle stand in the way of feeling great and looking fabulous. Let BRAND'S® InnerShine® bring out the best in you. 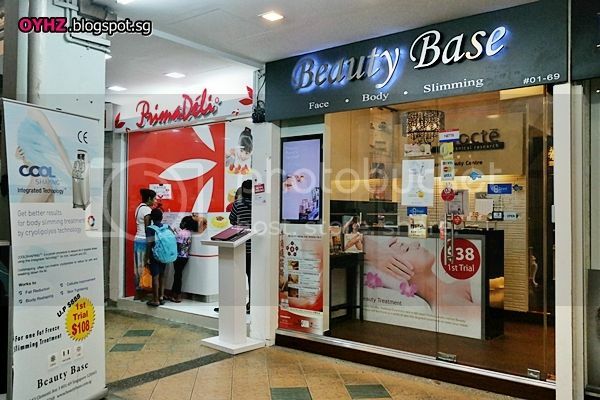 For more information about BRAND’S®, please visit www.brandsworld.com.sg. Went for bSoul facial and massage before a festive season previously and wow, the facial results turned out to be SO GOOD. 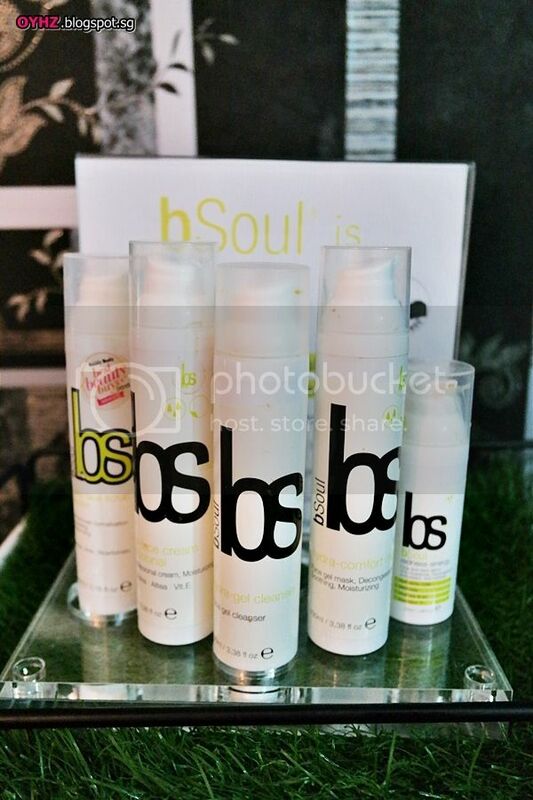 If you hadn't knew about bSoul before, here is more details on one of their skincare kit. The introduction to the products used were pretty straight-to-the-point, a manner which I’m personally fond of. No overpromises or fanciful claims that builds up your expectations only to give end results that is below mediocre, which happens at some salons. The therapist used pretty layman terms to explain the products with their usage and effects, which makes it easy for me to understand and absorb the information (especially while lying on the comfy bed and being only half awake). My skin is pretty dehydrated these days due to the cold and dry air-conditioning in office and insufficient plain fluid consumption. Thus, the therapist recommended facial that can help to restore my skin’s moisture and pH level which in turn will brighten up my complexion. The range of products used for the facial. 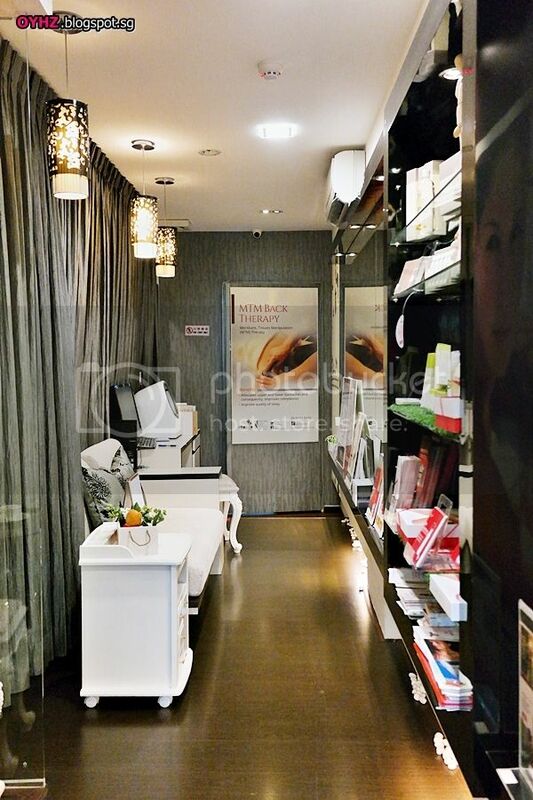 To my amazement, there were no high-technology machines or 'fanciful' creams or serums used during the facial. It is a classic facial, without extractions, using the exact bSoul set shown above that can be purchased and used at home on our own! This took possibly thrice the amount of time I would spent removing makeup on my own. Must be really thorough :D ok, i'm 1/2 kidding. Again, the therapist spent 2-3 times the effort than I usually do when I use the scrub. She reminded me that the scrub can be effective as a hydration mask too when used together with a serum. The granular beads from the scrub will break down into waxy state after few minutes of scrubbing and it will act to hydrate the skin like a mask. Hence, the 'scrub' was left on my skin while she proceeded to trim my eyebrows. This was applied in conjuction with the facial massage. Do note that the facial massage is rather heavy-handed as compared to any other facial massages i've done before. Not something that you will fall asleep with. But neither is it painful at all, hence no worries! 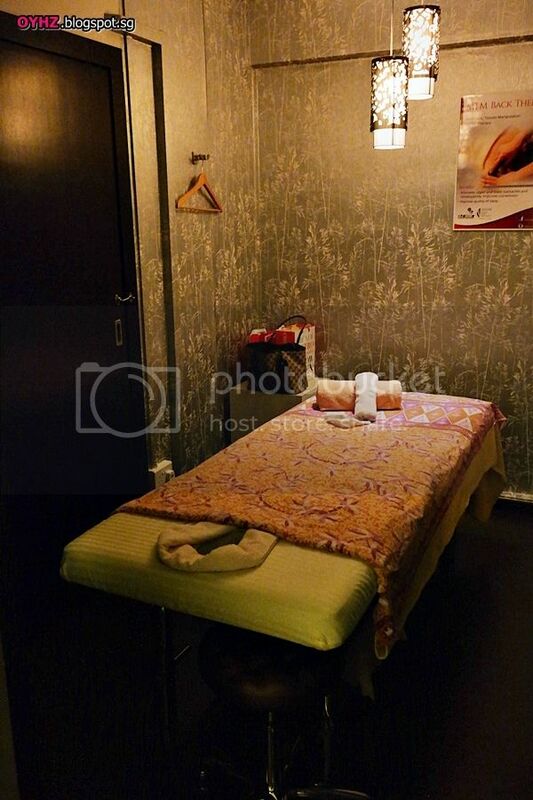 The massage skill of the therapist helps in getting the products absorbed more effectively into my skin as well as reduce any water retention, making my face feel lighter and refreshed, perhaps even more nimble in my expressions that evening. Now I look forward to using my remaining bSoul scrub in a new manner at home! 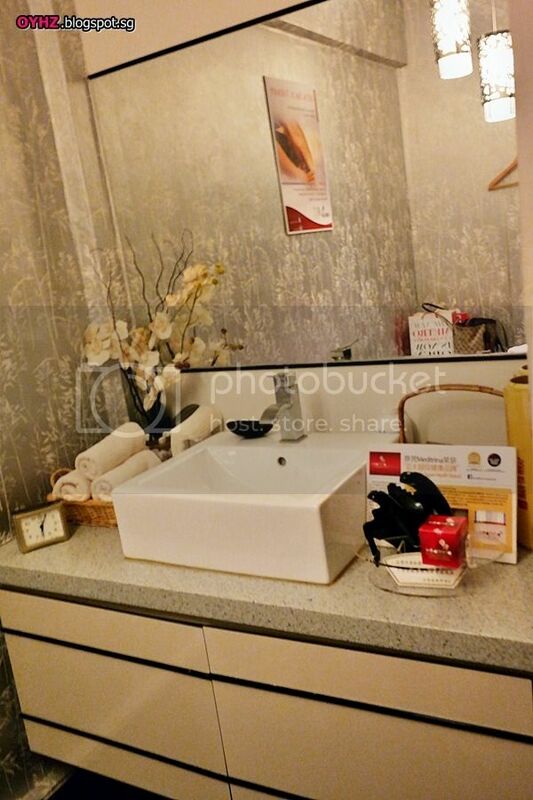 There is a makeup room for girls to tidy up after a good sleep facial so that you can hang out shopping even right after a facial. 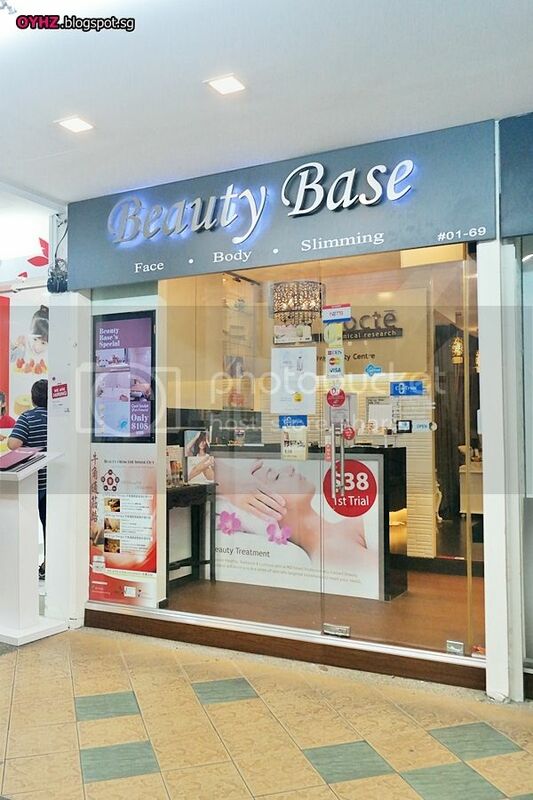 Other than bSoul facial, Beauty Base also offers MTM back therapy. Each of our backs is like a main power switch that reflects the major organs and nerve systems of our bodies. Here's an overall view of the acupoints on our backs. The treatment works by stimulating these meridian points in our body to work on the facial restrictions and scar tissues in the muscle. 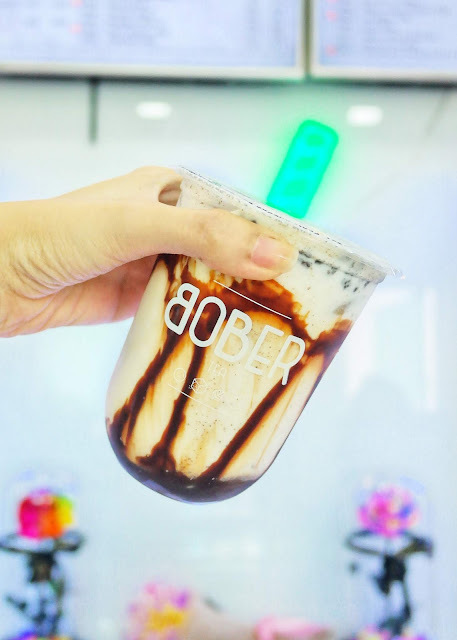 It can be performed in one session for a full body treatment, or it can be localized for specific target area such as face, and is designed to address stubborn problems such as chronic stiff shoulders or bloated face (depending on which area are you performing the treatment on). Unfortunately, I'm soooo sensitive (read: ticklish) to any touches on my (mid) back that the massage could not be done full-out over that area. 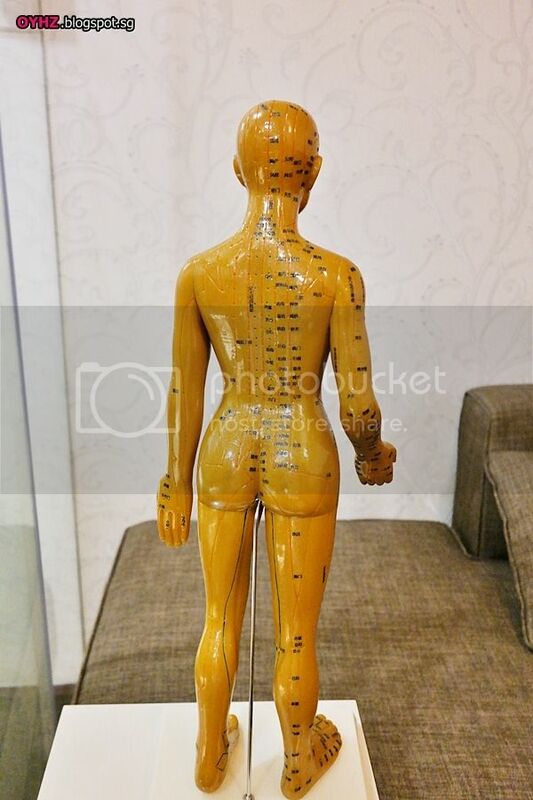 The therapist was able to carry out the acupressure treatment properly for my shoulders and neck regions though, helping with the relief of my stiff shoulders and that chronic pain. It wasn't as painful as expected - the massage on my neck, shoulder and lower back region were just that slightly uncomfortable during the session. The massage therapist, however, warned me of subsequent aching muscles which I felt indeed the very next morning. It was far more sore than I've ever came across before, or have expected. Thankfully, they gave me the tub of ageless herbal cream to help with the expected aches and I had it rubbed onto my shoulders immediately after I woke up. It soothed the aftermath aches considerably! Overall, I find the MTM massage much more effective in curing my muscle stiffness than another other solutions I've tried so far. 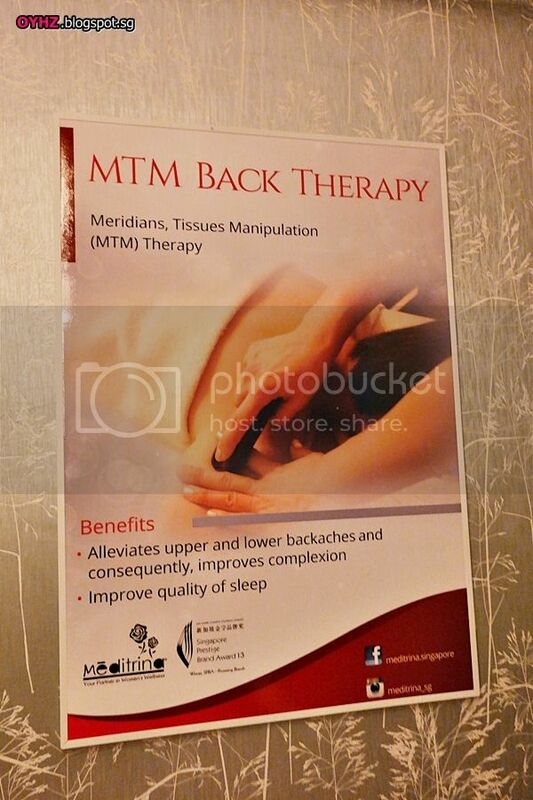 If you have problems which regular massages can't help, do give MTM massage a try!